#1: Ask yourself: Is this an effective strategy for my business? We always advise that you do some research before investing time and energy into any new marketing strategy. Find out if your potential customers are on Pinterest and if they are, figure out how and why they’re using it. Can the products and services you offer fit somehow into the Pinterest community and format? For some businesses, setting up and maintaining a Pinterest account would not be an efficient use of time and we never suggest being on social media just for the sake of being there. Be strategic! #2: Remind yourself: Pinterest Requires a Unique Strategy. For many businesses, Pinterest is a great avenue for to begin a new style of marketing. You just need to be aware that because the entire platform is based on attractive and eye-catching images, it requires a different optimization strategy than other social media communities. Maximizing Pinterest is now a growing arena of research and communication for different businesses and companies. In order to make the most of this useful social tool, read on for our 5 suggested best practices for maximizing Pinterest below. But first…watch this short, helpful video to get caught up to speed on what Pinterest is, who is using it, why you should take advantage of it and a few ways you can get started! A majority of the content on Pinterest is a repin from somewhere else. Stand out by consistently creating and pinning original content. Use original photos, create quotes on a simple software program, or even branch out into designing infographics. Research easy programs to use and make a point to generate original content on a weekly basis. When you do repin, for maximizing Pinterest effectively, make it relevant and important to your audience. Since Pinterest is image based, your images need to be unique and able to catch the eye of potential customers. There are plenty of royalty-free photo sites you can use to stockpile sharp looking pictures. For maximizing Pinterest, these images don’t always need to be professional looking photographs. Just make sure they are interesting, clear, and tell the story you want to share with your content. A lot of Pinterest users are looking to learn something new. They’re there for education, so cater to their needs. Make at least 40% of your presence on Pinterest educational. (We talked about this in yesterday’s blog on using Pinterest for business.) You can develop and share links to blog posts, videos, infographics, or podcasts that are informative. Many users consult Pinterest to learn how to do something and you can use your content to teach them. This is also the perfect environment for informing users about your product or se rvice and how it can benefit them. 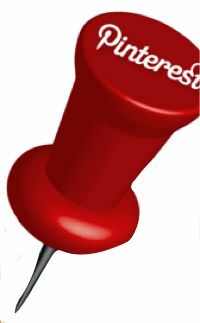 The search bar on Pinterest can be used by visitors looking for something specific. Think about what your customers may be looking for. Use these specific keywords for your pins. Your pin descriptions can be short and sweet or a little lengthier for explaination’s sake. Either just keep it simple by using a few appealing keywords or go big and add an effective description (still, this shouldn’t be too long!). Just like other social media platforms, Pinterest has trending topics. See if you can relate to any of these popular topics and post related content or images. If you can integrate these trending keywords into your pin captions, you can increase your percentage of click-throughs by a huge percentage. More people will be seeing your pins as well as repinning them if they are related to a popular topic. This can quickly grow your audience. Maximizing Pinterest on its own is a trending topic. Keep up to date with new ways to utilize this new social platform to benefit your brand.